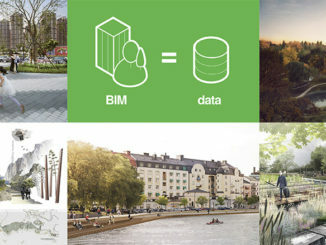 FoRM Associates won second prize in the international open competition for best urban landscape design of the central area of Kiev within the framework of preparation for UEFA Football Championship Euro-2012 and for the future. The competition was promoted by the Kiev City State Administration to draw attention of professionals and general public to the poor state of urban landscape in the central part of the city. Igor Marko and Petra Havelska presented FoRM’s proposal to the international jury and general public during the CANactions Architecture Festival in the House of Architects in Kiev. 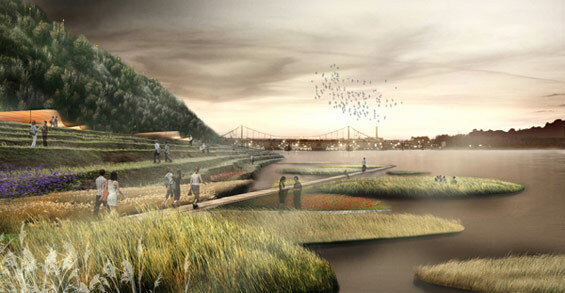 FoRM’s proposal ‘Dnieper River Park’ identified Kiev’s two major assets – the park and the river as the new green and blue DNA of Kiev, stemming from their unique correlation and adjacency to the city centre. 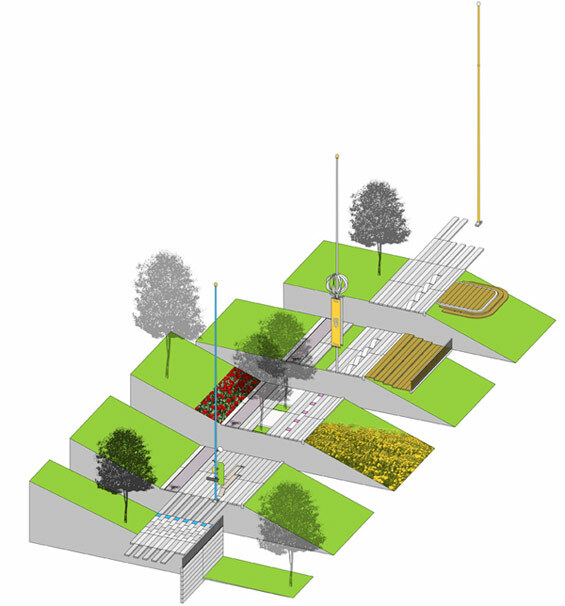 FoRM’s Dnieper River Park as a masterplan is not based on large scale architecture focused proposals but rather on a more fluid placemaking driven urbanism. 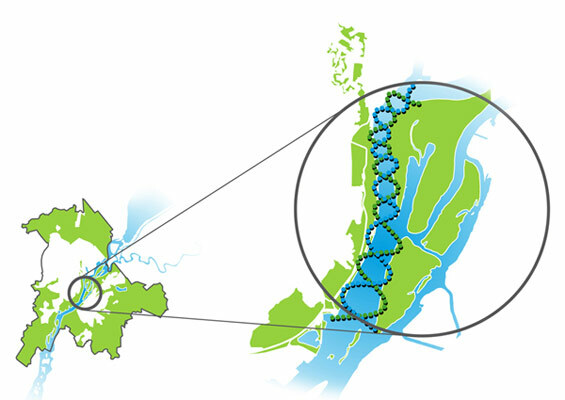 The principal challenge of the masterplan is to reinvent Kiev’s orientation towards its river through environmental and culture-led regeneration, establishing Dnieper River as center of community life and enterprise. 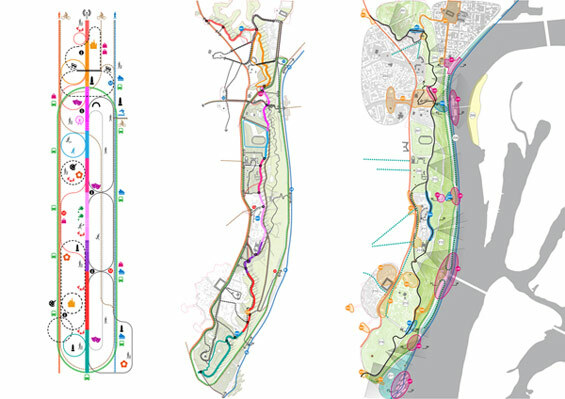 Many of the necessary elements for the ambitious Dnieper River Park project are already in place, and others await only the community’s decision to pursue them. One of the key issues in current circumstances is one of credibility and of inclusive participation of people in the process of change. 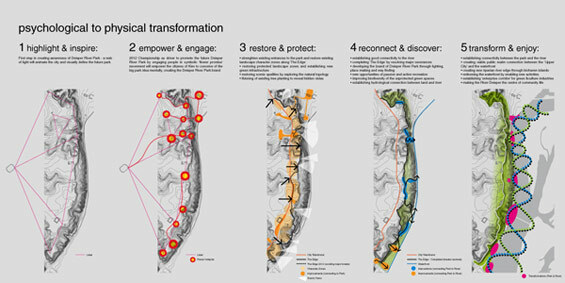 In recognition, FoRM proposed a strategy based on the notion of fluid urbanism involving psychologi­cal to physical transformation through time. In this context they recognized the upcoming Euro 2012 sporting event as a unique opportunity to create a momentum for the future transformation. 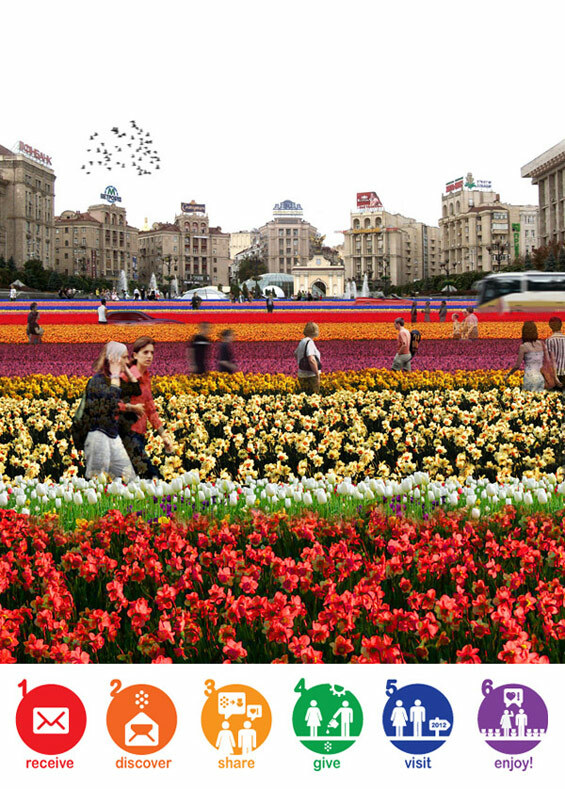 Their proposal of an event of community participation on a scale not seen before in Kiev will involve thousands of people of all ages in the act of receiving, giving and planting flowers in key areas of the future park and adjoining city. The event will become an expression of a symbolic promise of people to themselves and to their community of a future based on an inclusive and meaningful process of change.